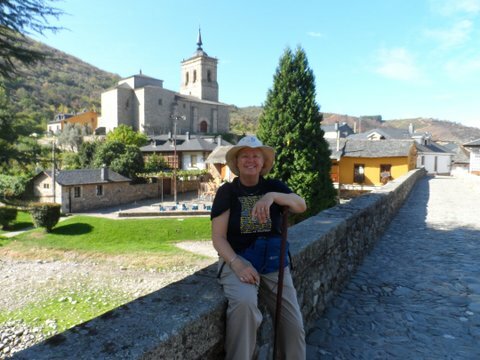 In Part 1 of this interview Ingrid Folkers told us a bit about why she decided to embark on an 800 km pilgrimage on the Camino de Santiago and she also touched on some of the practical aspects of such an extended pilgrimage. 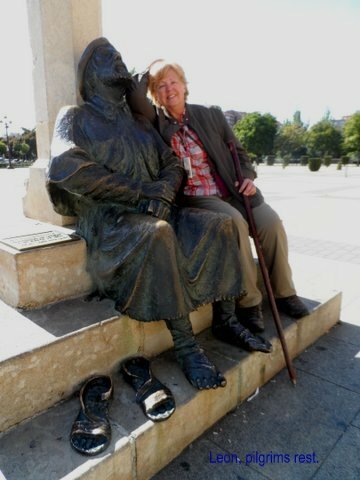 Now let’s have a look at some of the amazing personal insights and experiences the Camino brought to Ingrid. 1. How did you stay in touch with people on the Camino? And what role did social media play in connecting with people afterwards? In Burgos, about 300 km into my walk, I bought a Spanish cell phone so I could be reached in an emergency. This was a very good decision on my part, because not long afterwards, I was injured and needed the phone to keep in touch with my Spanish friends and whenever I needed to make a reservation. In most places I had access to a “pay per minute” computer and as time went on, I started to write about my days on Facebook. I had decided that I would not ask for contact information from pilgrims, however, I handed out a teabag with my information to those pilgrims I felt a deeper connection with, leaving it up to them to get in touch with me. Once I came home, I took time away from the computer to reflect on my experience. This was a necessary step to walk back into my “normal” life. After some months I created a Forum group Camino Gifts of Friendship. It started with a few dear Camino friends and gradually other fellow pilgrims got in touch with me. Somehow, the ones that were meant to find me, did, approximately 50 people and we continue to be in touch. 2. You also mentioned that somehow walking on the Camino and meeting with people from all different nations enhanced your language skills. Please explain. My mother tongue is German, but I also was taught English and French in school. My mother was born in Slovenia and as a child I got familiar with that language. Living close to Italy, I had a smattering of Italian and a polite phrasing of Spanish. Today my primary language is English, and I speak German with my mother-in-law and rarely use any of the other languages. About 1 week into my Camino, I noticed that my languages were coming back, more fluently than I could have ever imagined. This ability to speak a variety of languages enhanced my Camino experience. Very few of the Spanish people I met spoke English, but among the pilgrims, English was spoken. However, the most important language on the Camino is the language of the heart. A friendly smile, a happy Buen Camino, a hug when needed and being gracious to ones host and fellow pilgrim mattered more than being fluent in any language. 3. One important person you met was “Stuart”. Please tell us about him. Stuart I met the last few days before reaching Santiago. Stuart now is 82 years old and truly a Camino veteran from Scotland. He also over the years has served as “hospitalero” for many years. Hospitaleros are the volunteers that keep the albergues running. He was instrumental for me reaching Santiago on my birthday, something I thought no longer possible after my injury. He coaxed me along when I was about to give up for the day. He was one of the many Camino angels I met. We have kept in touch via email and even though he told me that this was to have been his last Camino, he again walked this year. The Call of the Camino is very strong for some. 4. Several hundred kilometers into the trip you had an accident. What happened and what did you do from there? 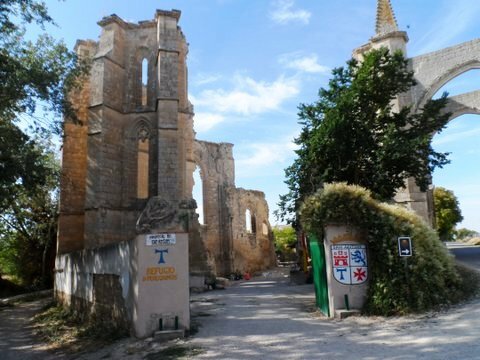 About 3 weeks into my walk, on the Meseta, a section of the Camino I did not enjoy, I decided to take an alternate route called the Calzada Romana – The old Roman Road. This is a road very few pilgrims choose and perfect for me since I wanted to walk alone for a while. On September 29, after about 10 km, my left ankle hurt. One step I was fine, the next step I barely could walk. I was totally alone, just like I wished. The Camino provided. 5. Pilgrims often say “The Camino provides”. Please explain that saying. There is a saying about the Camino “The Camino provides”. Another saying is that “The Camino Listens”. It is prudent to be careful what one says or thinks. Some people call it coincidence, I call it Camino Magic. I ran out of water, no town in sight, but all of a sudden there was a fountain. I needed a stone to sit on, there was a boulder, on that lonely stretch I needed help and there she was for me, a Ukrainian pilgrim who happened to be a foot specialist. With her help I was able to hobble to a small town called Reliegos and from there got taxied to the emergency department at a hospital in Leon for x-rays. I was told I was ok, to take it easy for a few days and continue when I felt better. 6. You also encountered many acts of kindness on the Camino. Please tell us about some of these. From Leon onwards, my Camino changed. I no longer could walk the distances as before, I walked very slowly, much slower than the slowest pilgrim, so I walked alone most of the time. Occasionally, a pilgrim would walk with me for a few km, but quickly would walk onwards. Now I relied on the help of the local people and help they did. They walked with me, made sure I rested, fed me, hugged me when needed, looked after my ankle, sometimes gave me a ride when I simply could no longer walk and a town was far off. In return they ask me to hug the Saint for them. “Un abrazo a Santo, por favor”. I carried a long list of names with me. This was the time I was one with the path, I saw and heard things that I would have missed walking as before. I was walking forward by walking inward and on a journey back to myself. I was in constant pain and didn’t find out until back in Canada, a month later, that I had been walking with a broken leg. 7. Finally you reached Santiago de Compostela, on a broken leg. What was that like? What does Santiago de Compostela mean to you? 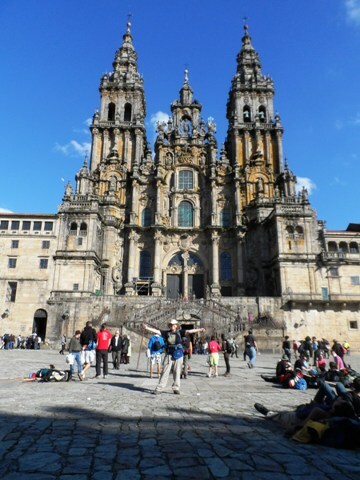 With the help of my friend Stuart, I did walk into Santiago de Compostela on October 20, my 60th birthday. The Camino listened and provided. As I was walking the last 20 km, counting down every km, I re-connected with pilgrims I had not seen in a long time. Somehow the word had gone out that it was my birthday and all day long, pilgrims were whishing me Happy Birthday. Reaching Santiago was magical and as I walked past the haunting sounds of the Galician “gaita”, the Spanish bagpipe, that greets each pilgrim walking through the doorway into the Prazo Obradoiro. It was a jubilant and emotional moment. I had made it. 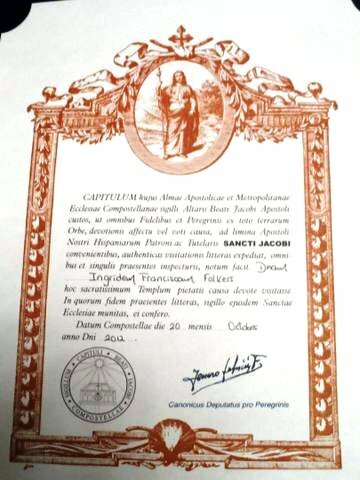 After I presented my credential at the pilgrims’ office I was presented with my Compostela, the much coveted document confirming that I had arrived a pilgrim in good standing. 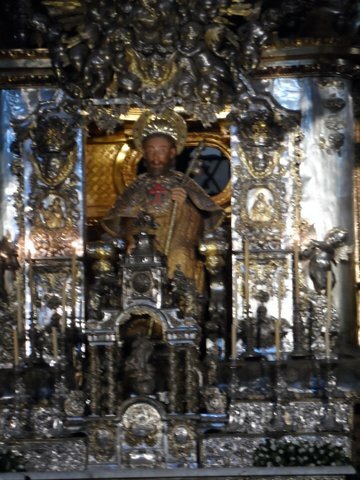 I walked into the cathedral, up the steps to the statue of Santiago, hugging him and read out aloud all the names of the people that had helped me along my Camino. I watched the huge Botafumeiro (incense holder) swing and listen to the angelic voices of the nuns during pilgrims mass. All together I spend a week in Santiago; it is a beautiful city and I am looking forward to visit again. 8. After reaching Santiago you also continued on to Finisterre (or Fisterra in Galician). Please tell us about that. For most Christians, Santiago is the end of their Camino. 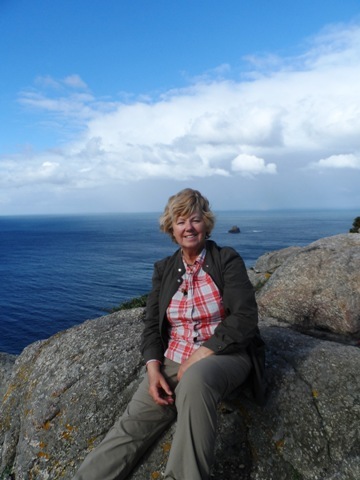 Myself, I wanted to walk onwards to Fisterra and Muxia – the end of the World and the Costa del Morte (Cost of Death). Instead of walking an additional 4 days, I took the bus to Fisterra. I also visited with my friend Tracy Saunders, an ex-pat British/Canadian, who has made her home in Galicia, and has a post-Camino retreat called The Little Fox House. In her peaceful home, I started my new Camino, my journey home. In her company we drove along the Costa del Morte to Muxia. Standing on the stones in Muxia felt like coming home. All along, I felt that my parents, especially my fathers’ energy, had been walking with me and the quest part of my Camino was resolved. 9. 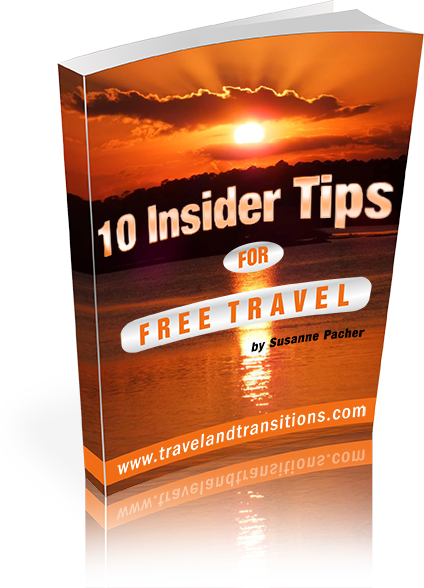 Please tell us about the “culture shock” you experienced readjusting to your regular life after your return. 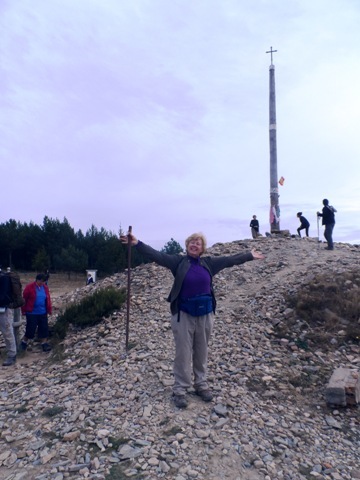 How has this walk on the Camino influenced your life in the long run? After I left Galicia, I flew to Barcelona to spend a few days there. I got to see very little of it, my leg was not any better. I managed to visit Montserrat and the Basilica de la Sagrada Familia and the Market. Aside from the obvious physical challenge, I was not ready for the noise of a tourist town. I had spent 7 weeks in solitude, simplicity, away from noise and the hustle of everyday life. Barcelona was hectic and noisy. Once back home, it took me many months to focus on everyday life. I missed the simplicity of the Camino. I have been back now for 13 months, however, there isn’t a day I don’t think about my journey. It was life changing and like so many pilgrims, I too long to go back. As profound as the journey was for me, my everyday life has not changed much. I am part of a couple, a marriage, a mother, but only I walked the Camino. Changes that I would love to implement as a personal choice are not necessarily the choices my family would welcome. The changes for me were a reconnection to myself, a re-awakening of those dreams most of us set aside as life takes over. 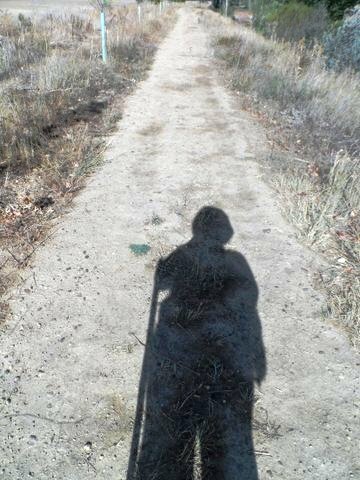 Just as one walks the Camino de Santiago, step by step, so too I am now walking my Camino of Life, step by step with an open heart and mind. It is a more quiet life and filled with new dreams. 10. You are also planning to return to the Camino de Santiago next year. Please share with us your plans for this upcoming journey. Hopefully, in 2014, I will be able to do so. I would like to walk some of the sections I was not able to, and add a few other Caminos, i.e. Camino Del Norte, Camino Ingles, Camino Finisterra and possibly the route in Portugal from Porto. I have set aside 3 months to spend in Spain, walking and serving as hospitalera. 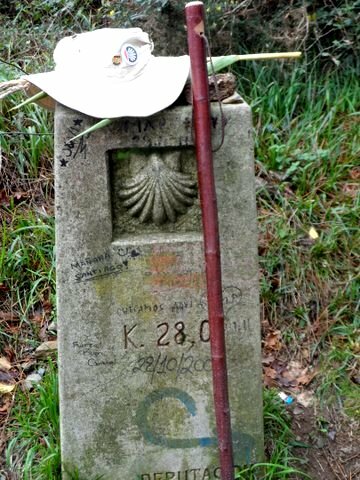 Since I know the Camino listens and this Pilgrim would love to return, I believe the Camino will provide. Buen Camino a todos – Ultreia!